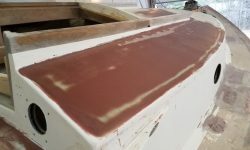 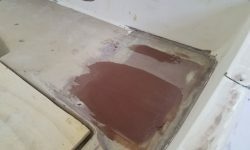 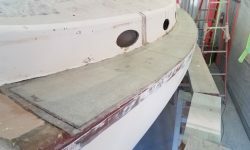 I got started with another round of sanding as needed about the decks, including the bridgedeck, coachroof, portions of the hull-deck joint, and the cockpit. 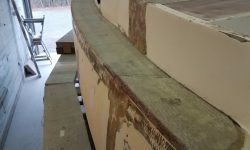 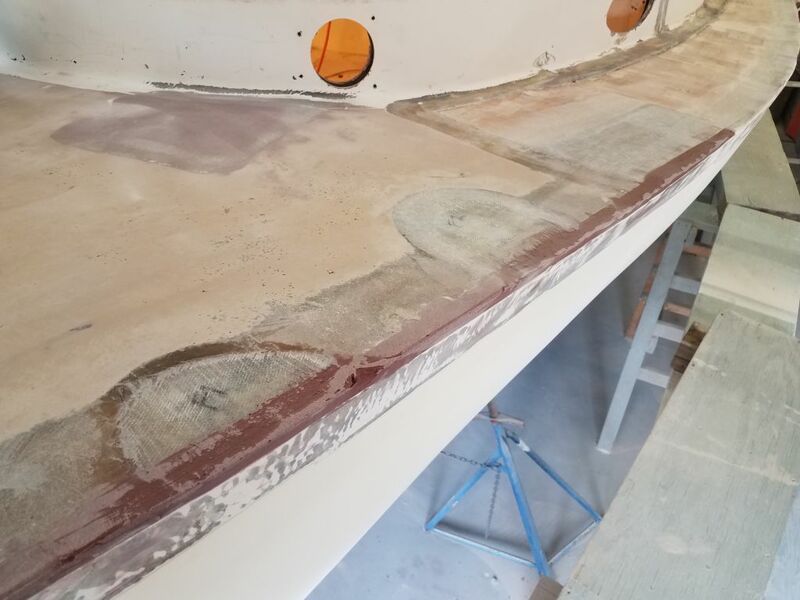 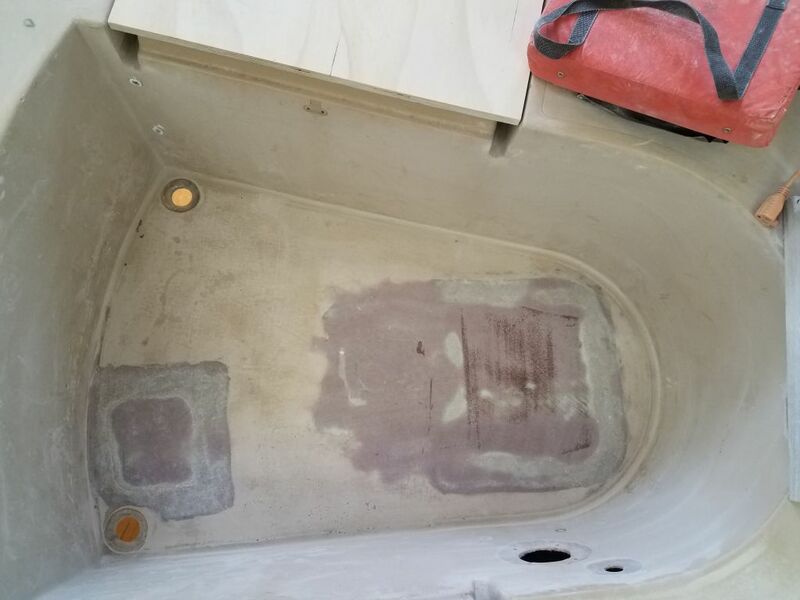 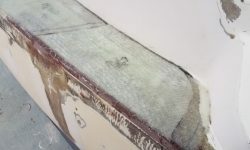 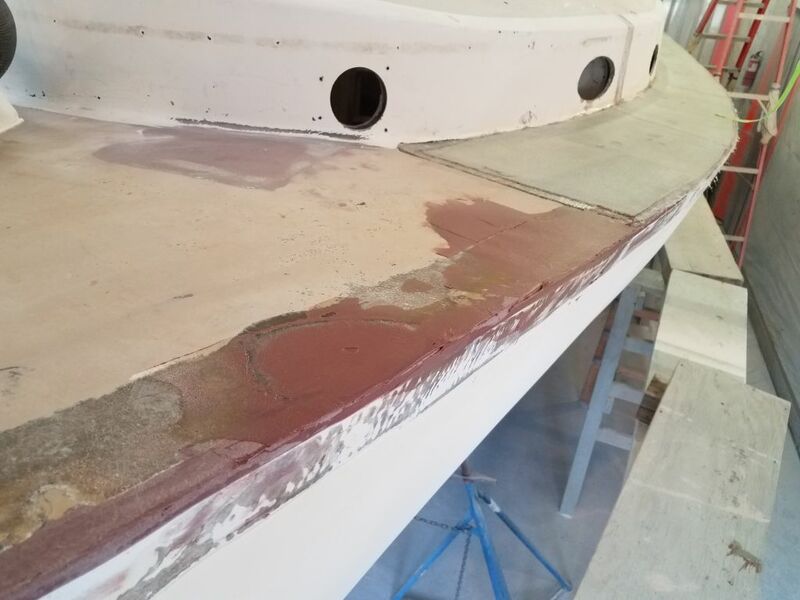 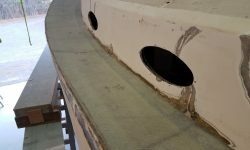 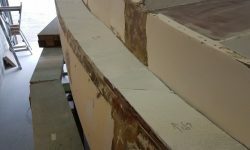 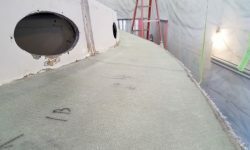 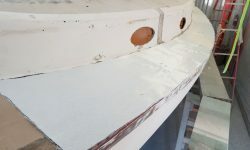 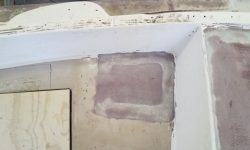 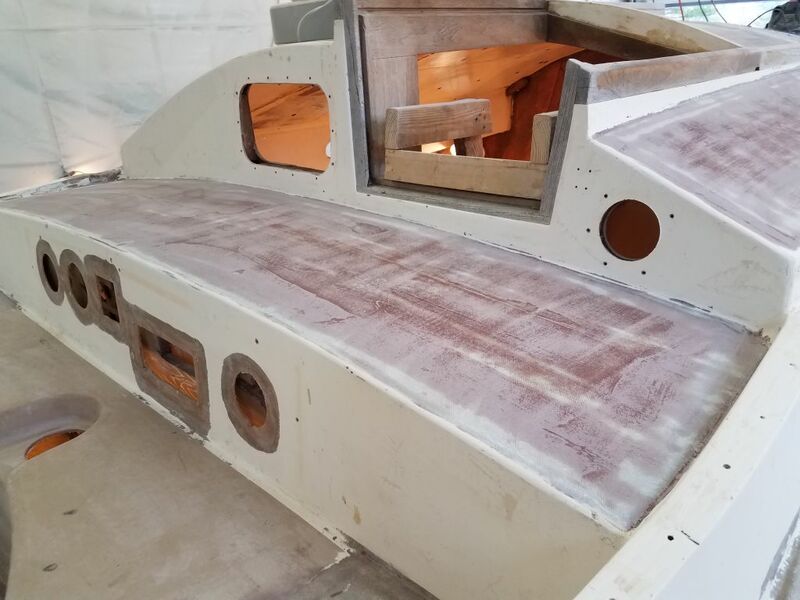 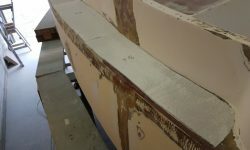 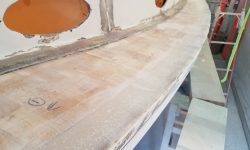 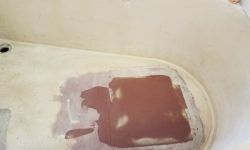 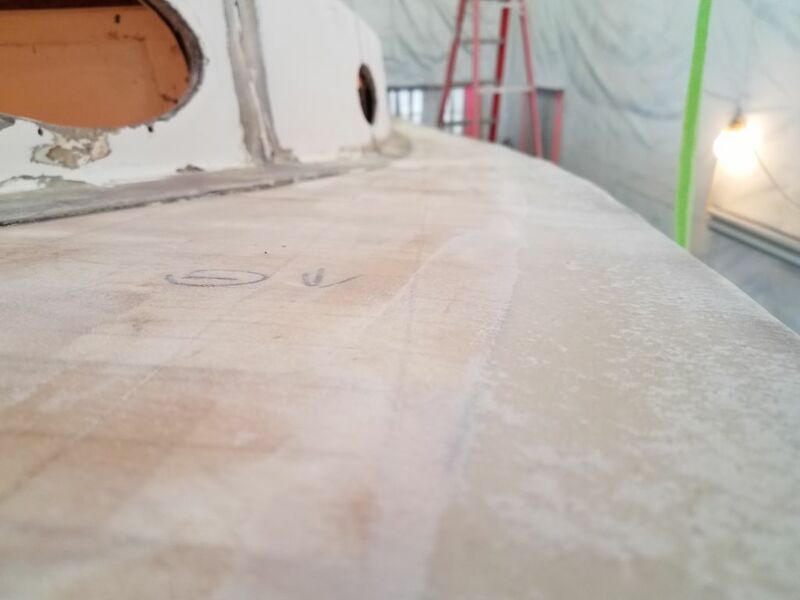 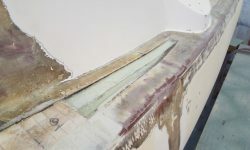 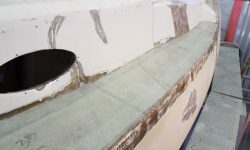 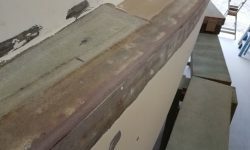 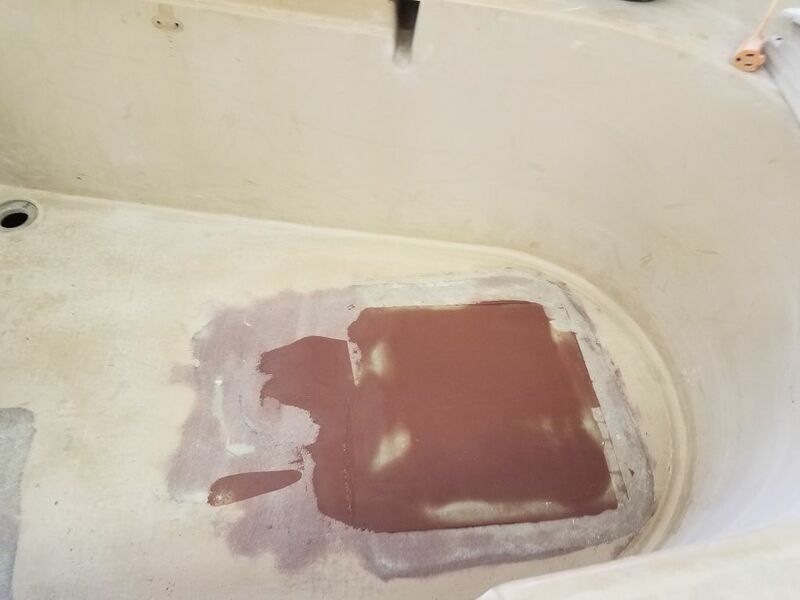 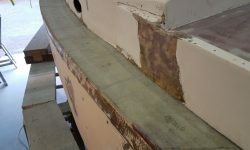 After cleaning up and other preparations, I dry-fit the three new layers of fiberglass on the port sidedeck to check the fit and to make some reference marks to help with alignment of the layers during installation. 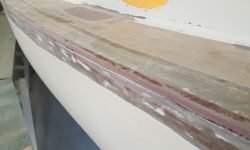 I staggered the seams between all three layers so no seam was above or near either of the other two seams between pieces of cloth. 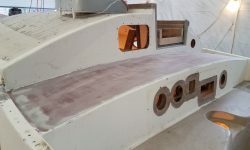 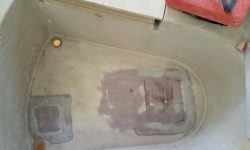 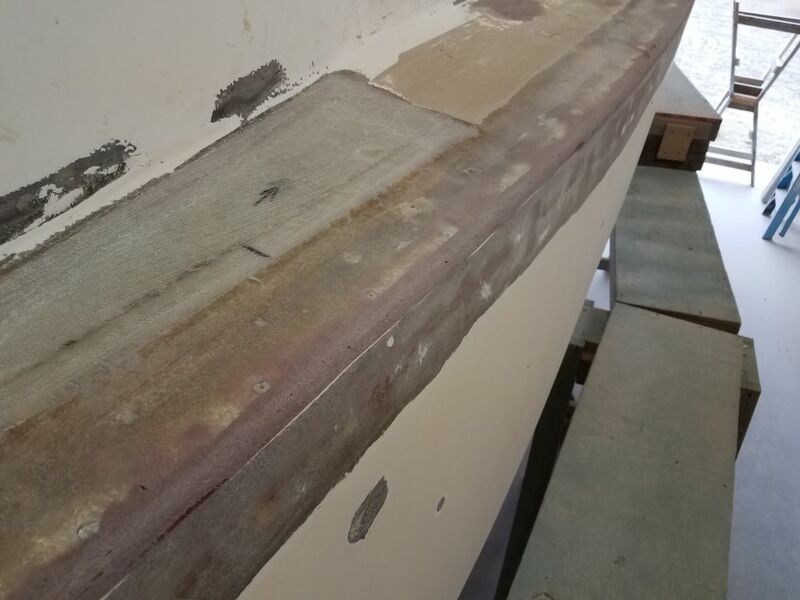 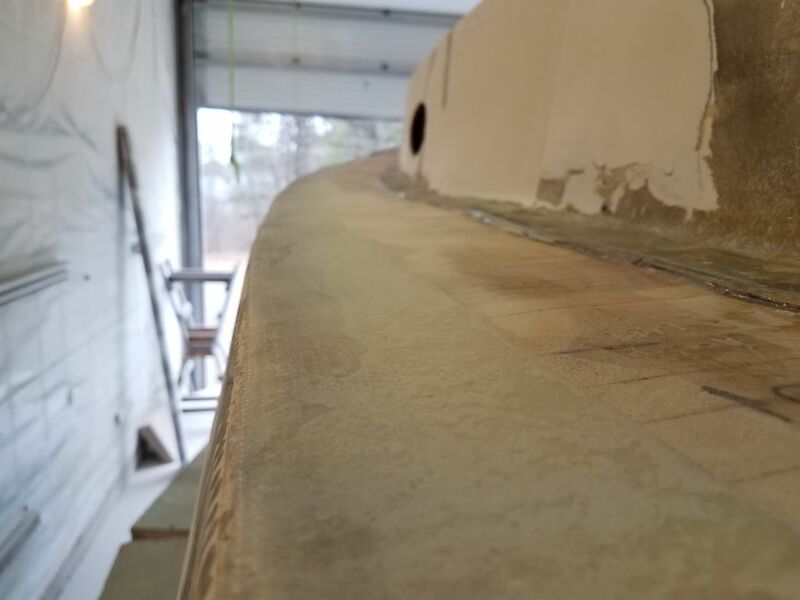 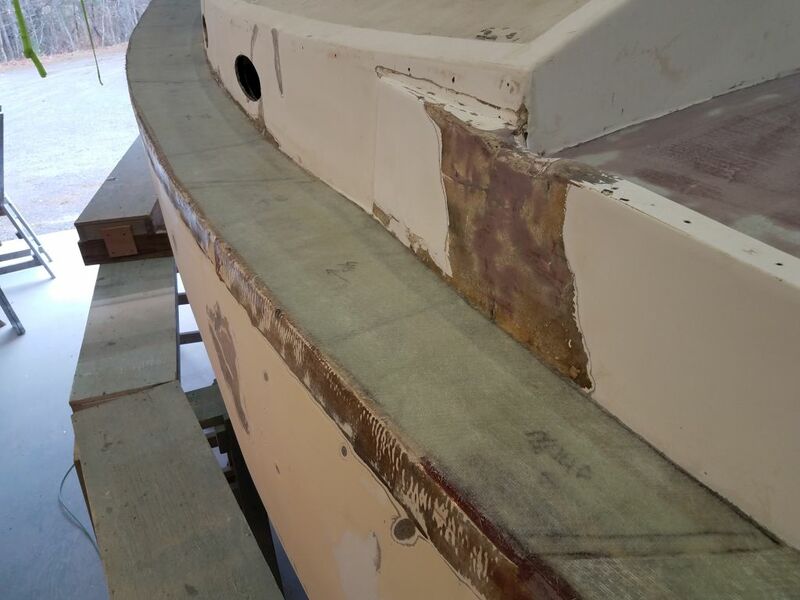 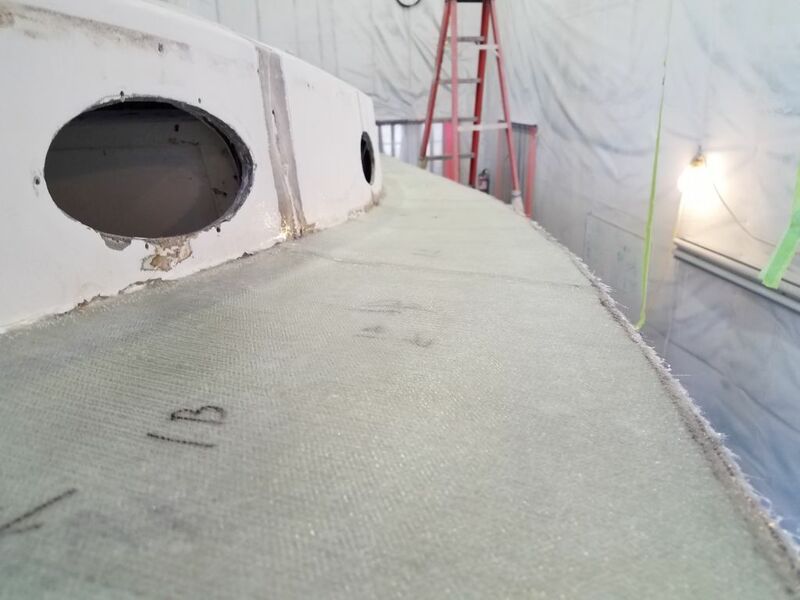 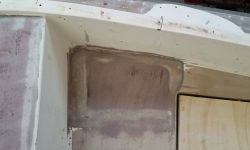 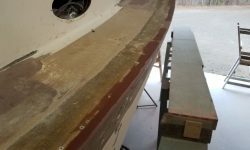 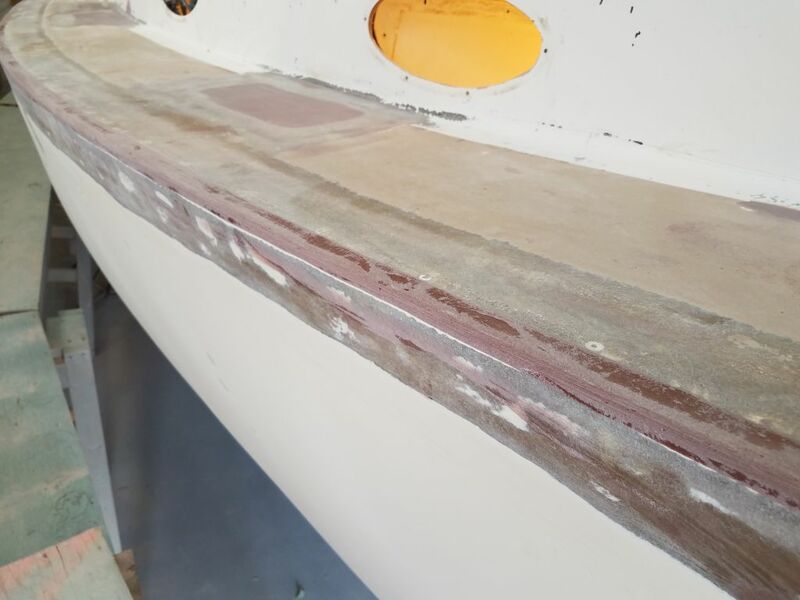 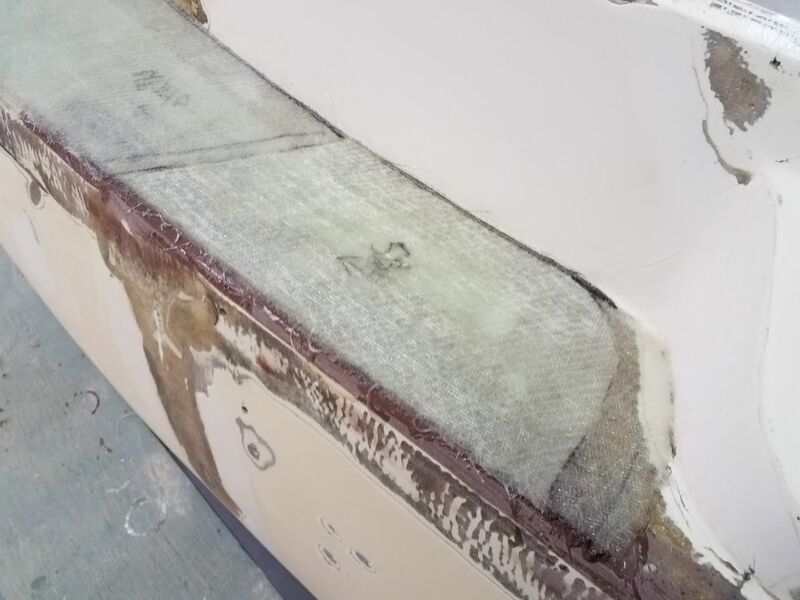 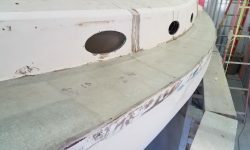 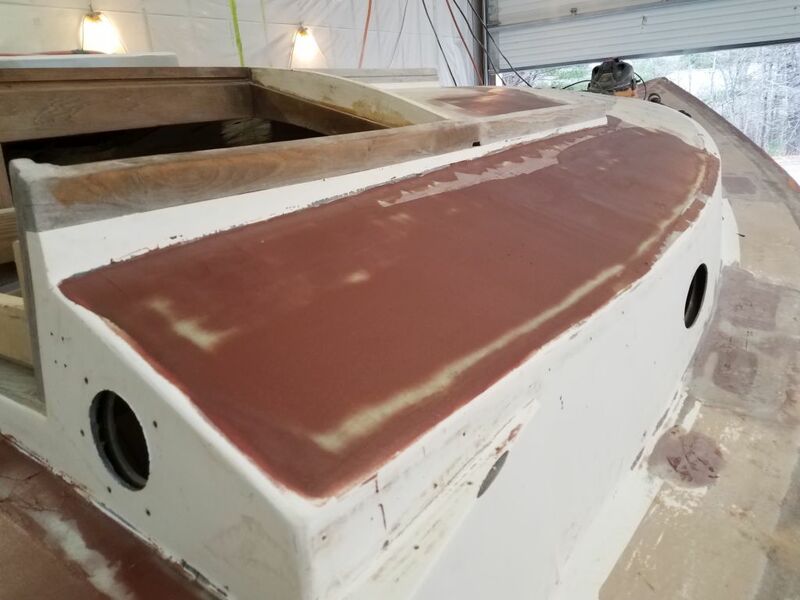 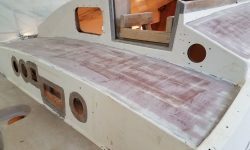 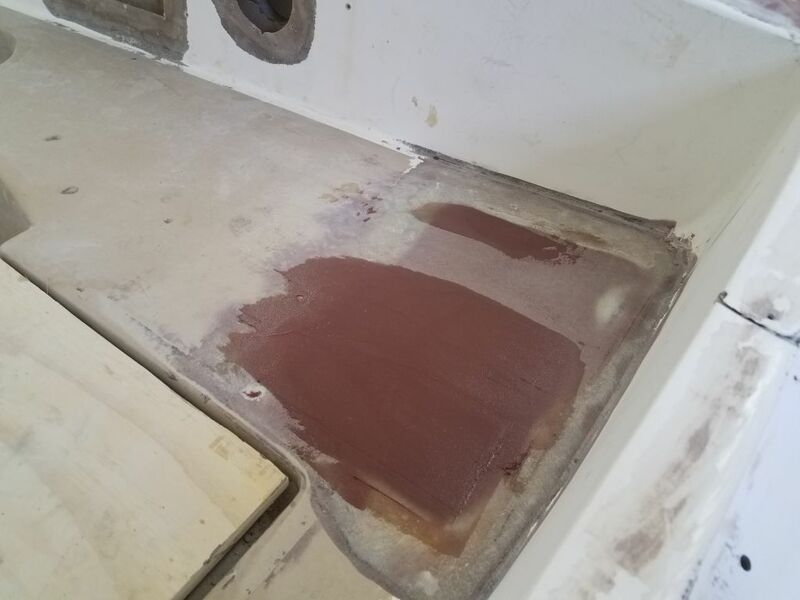 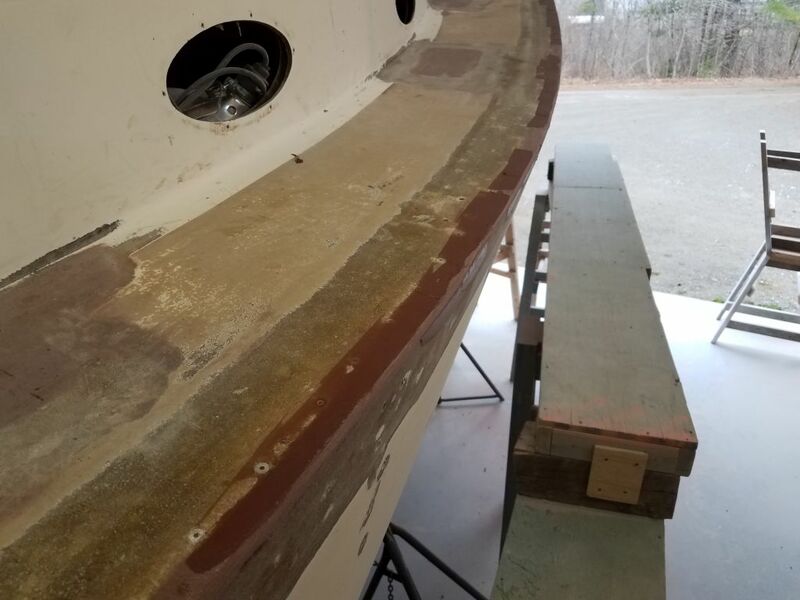 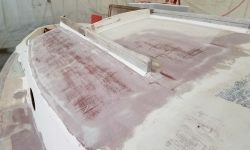 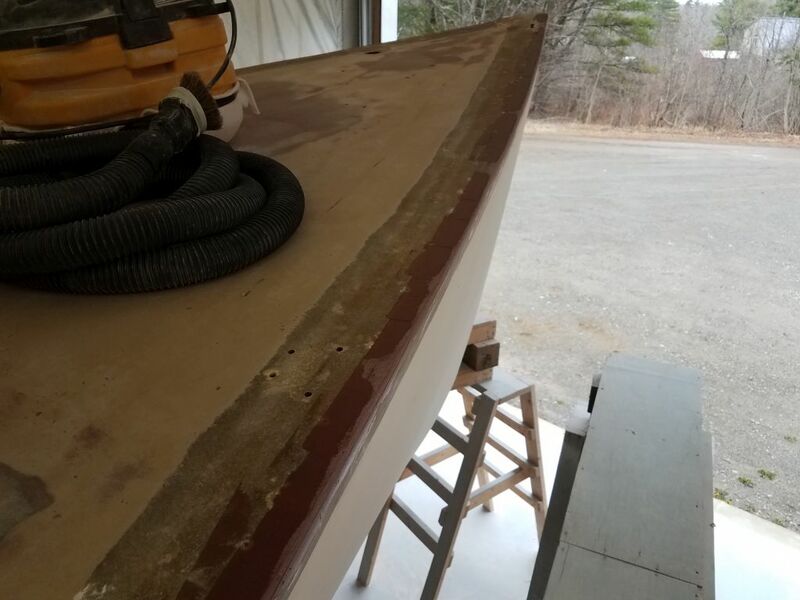 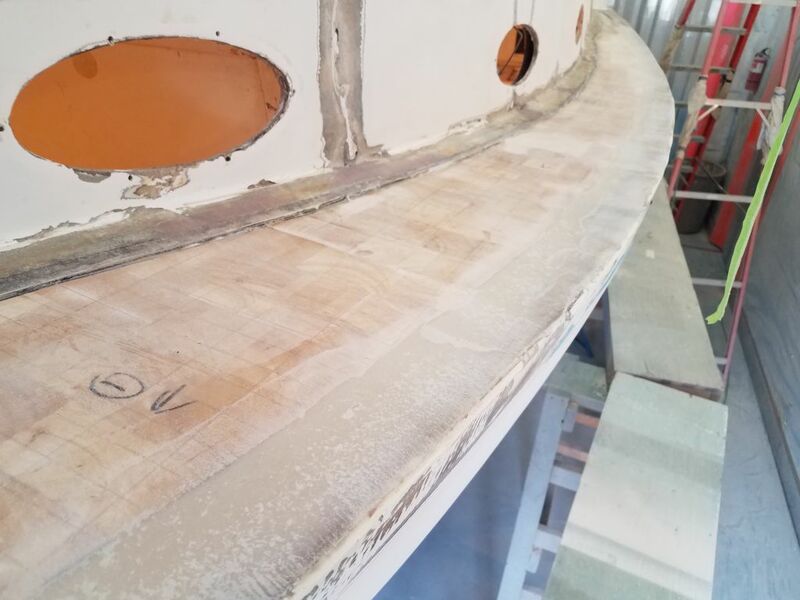 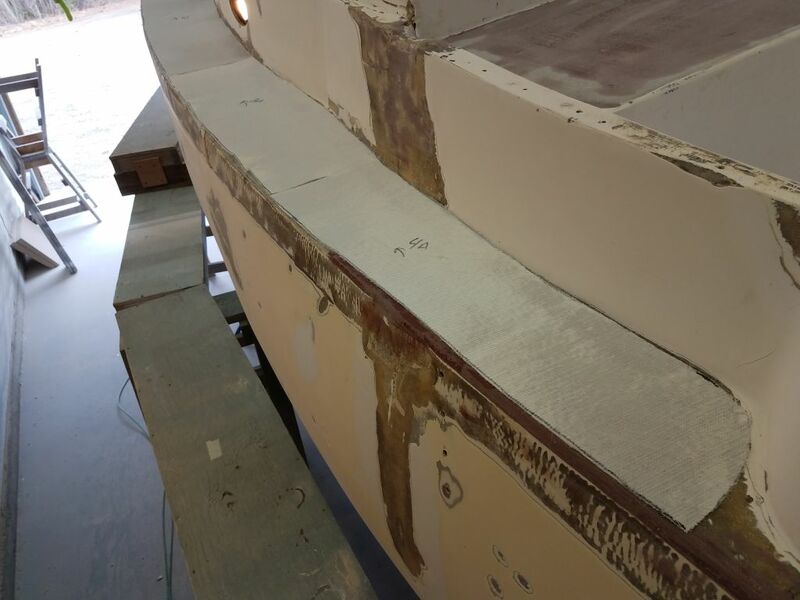 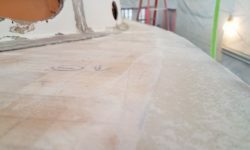 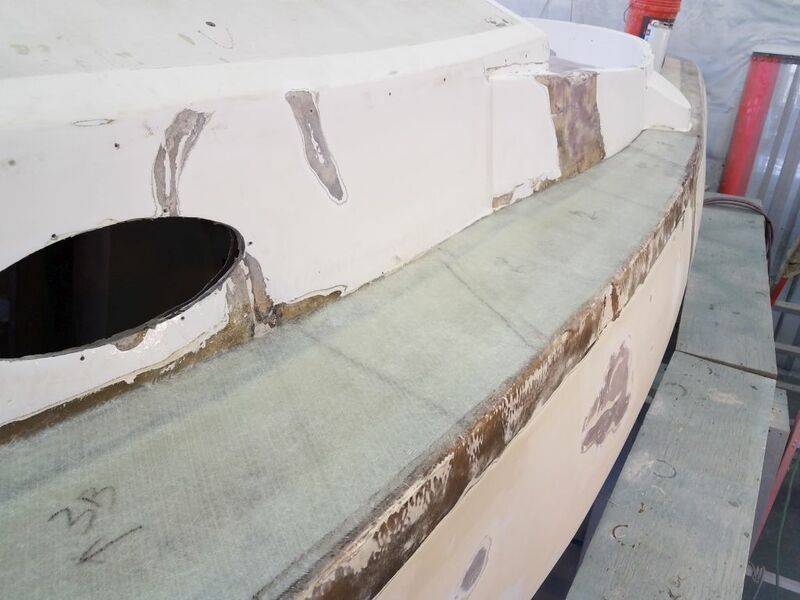 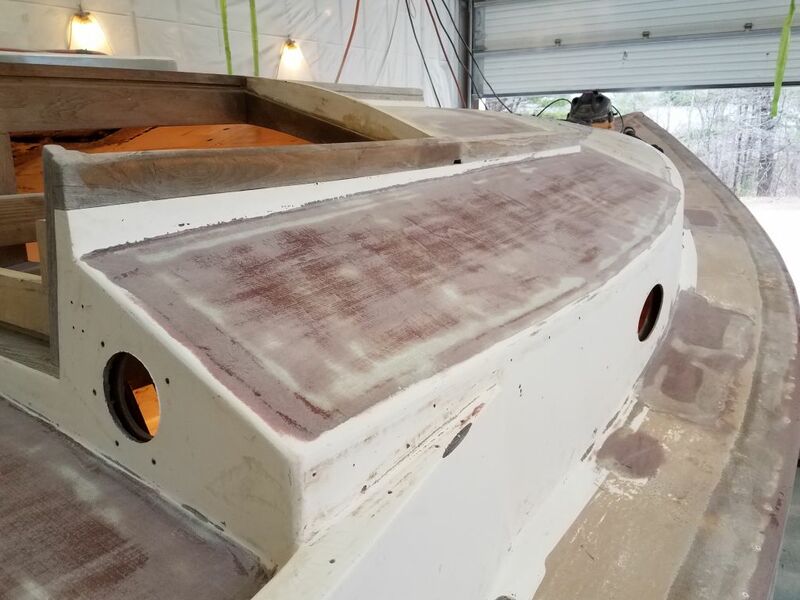 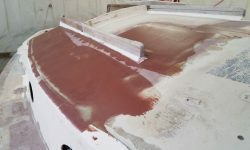 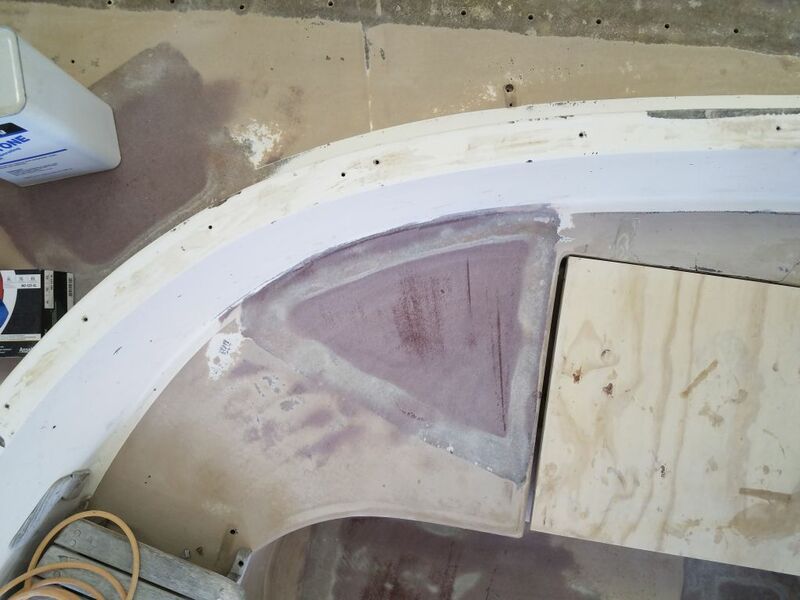 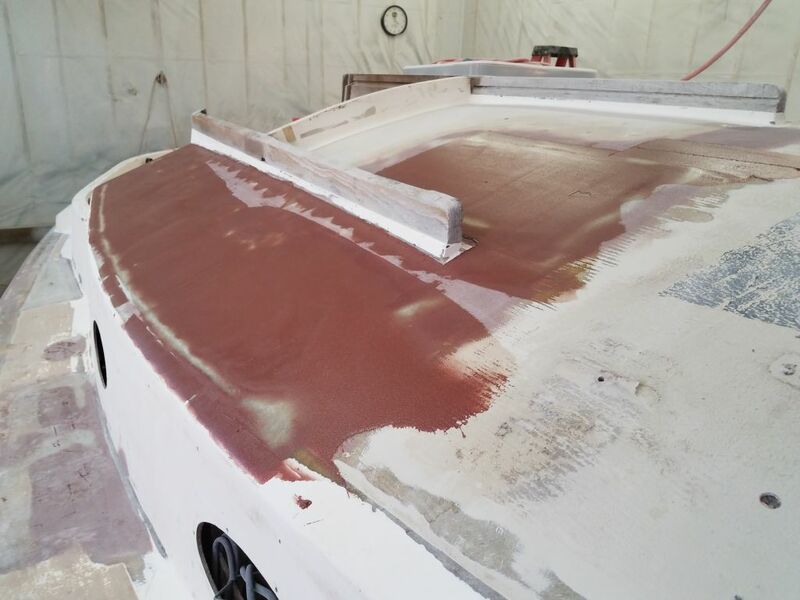 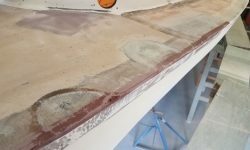 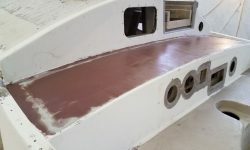 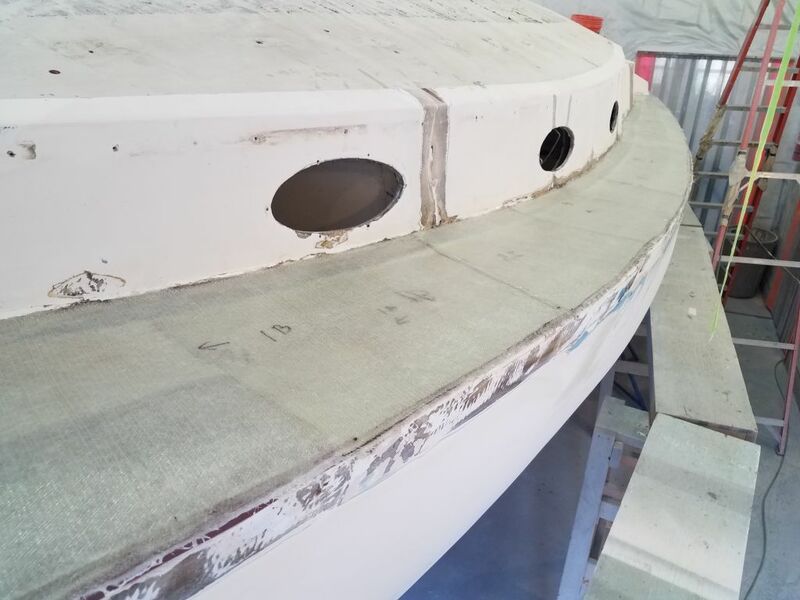 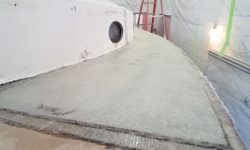 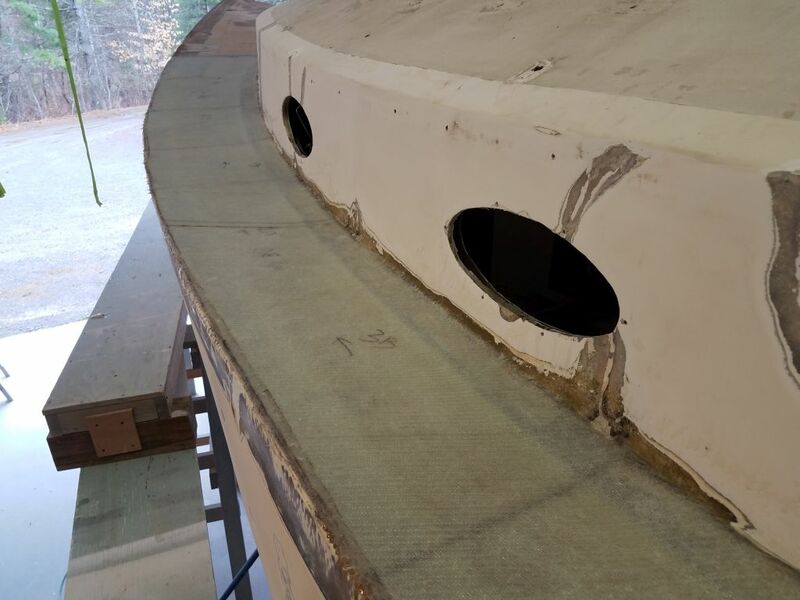 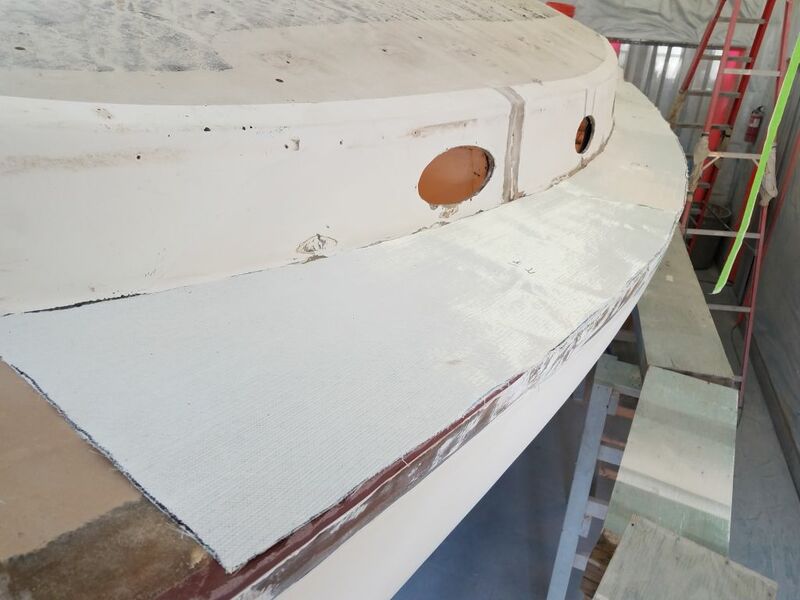 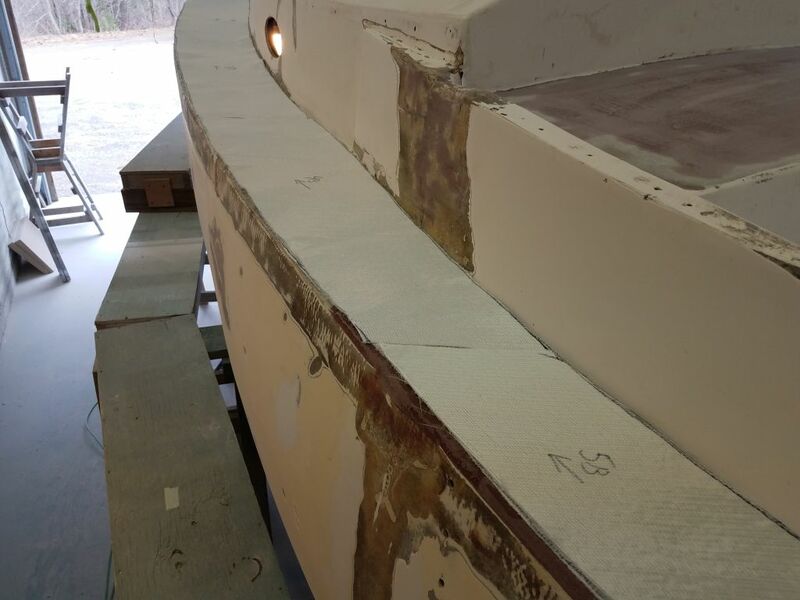 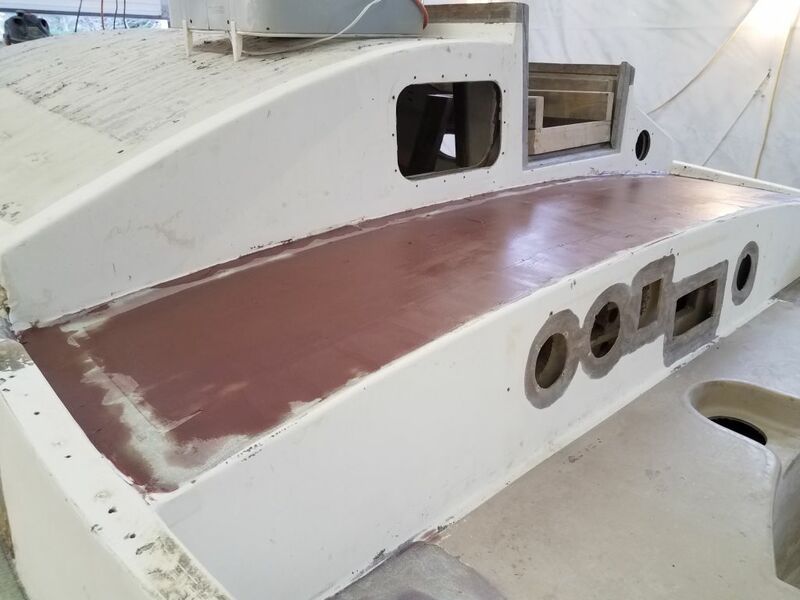 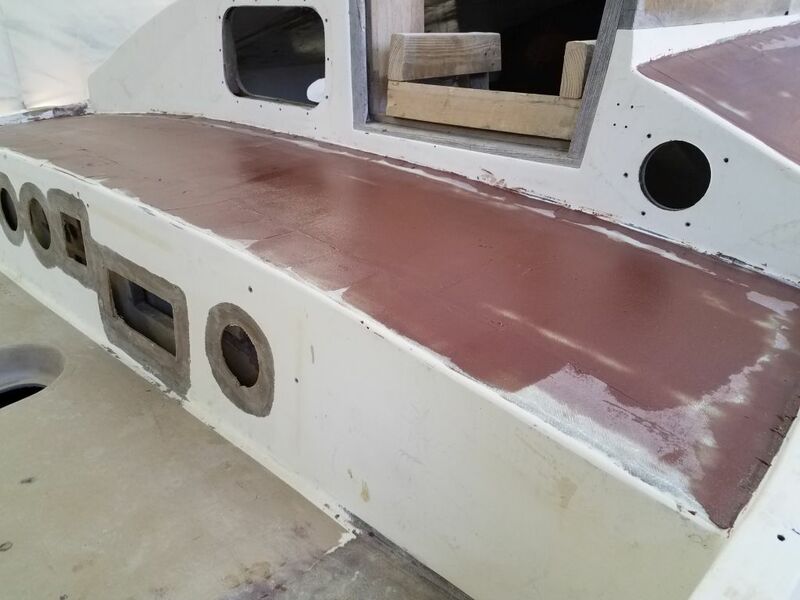 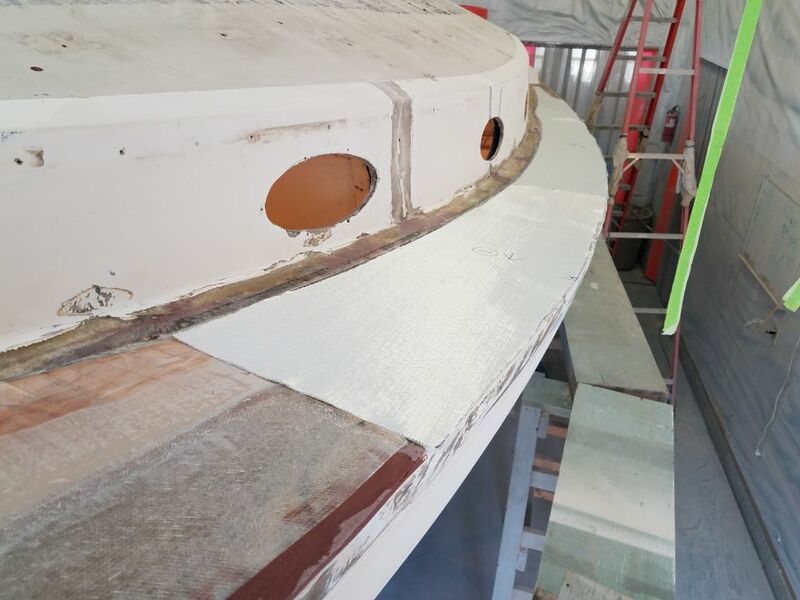 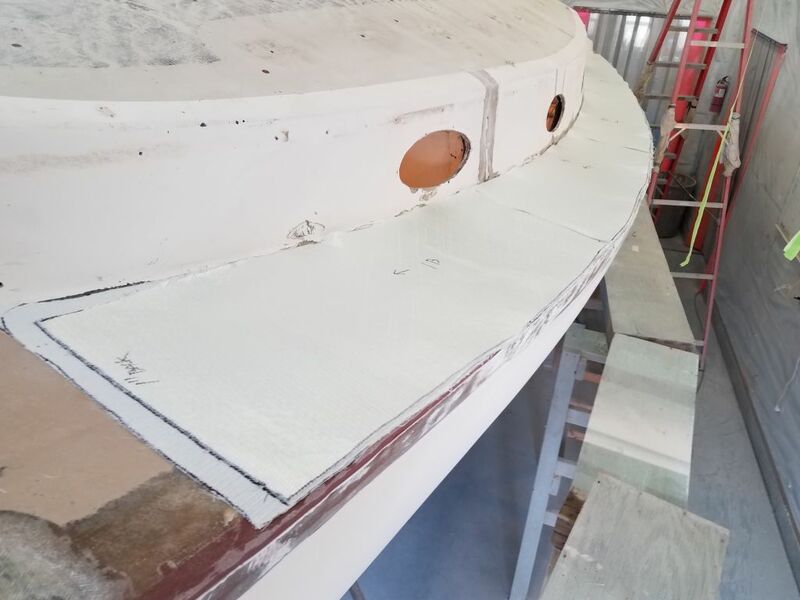 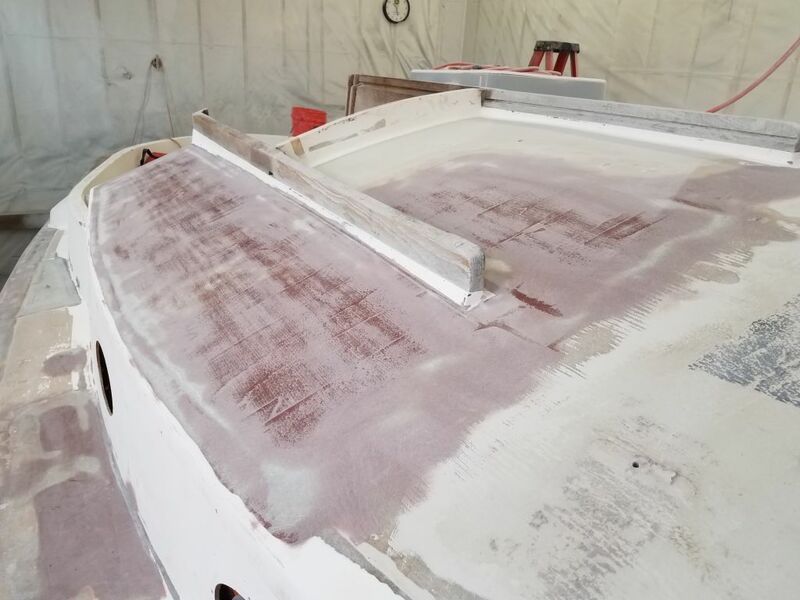 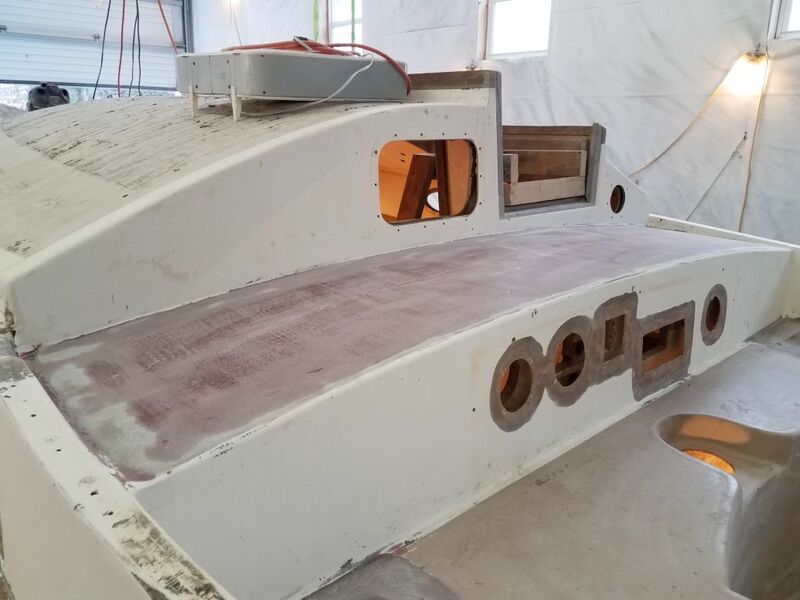 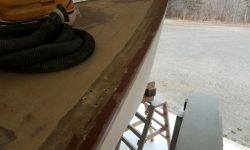 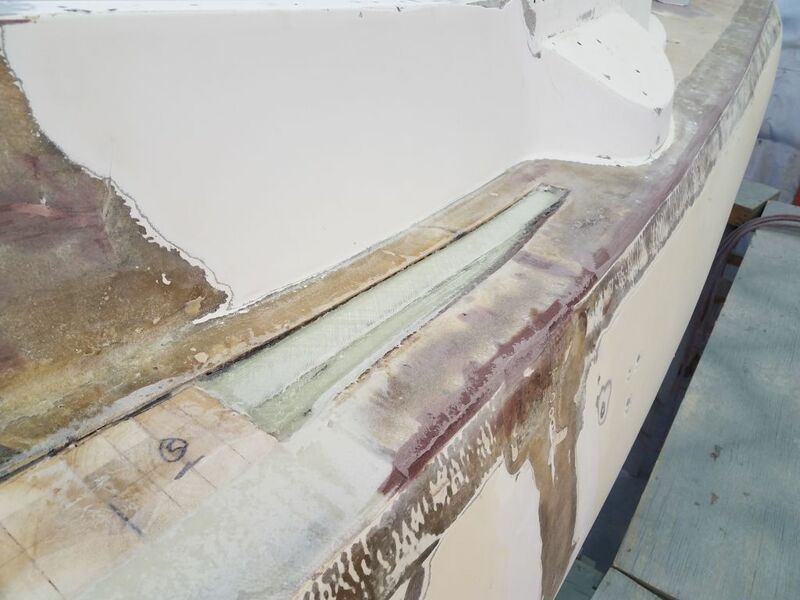 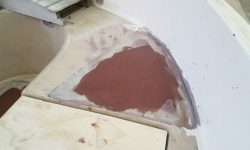 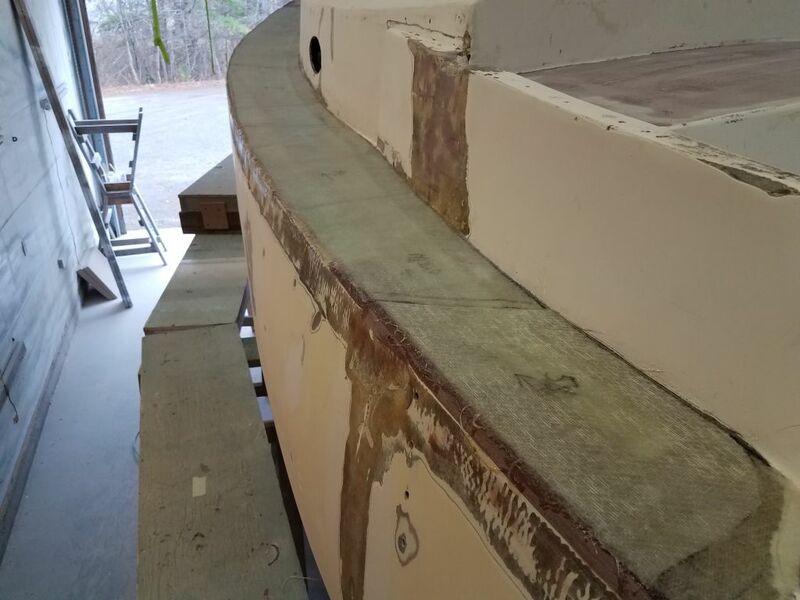 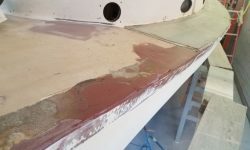 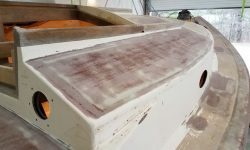 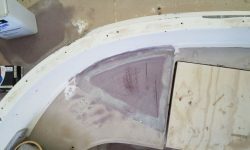 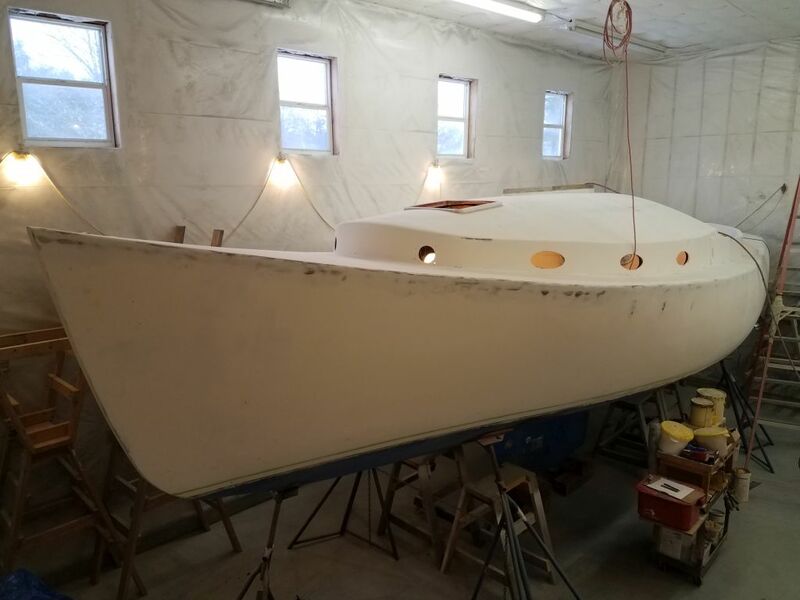 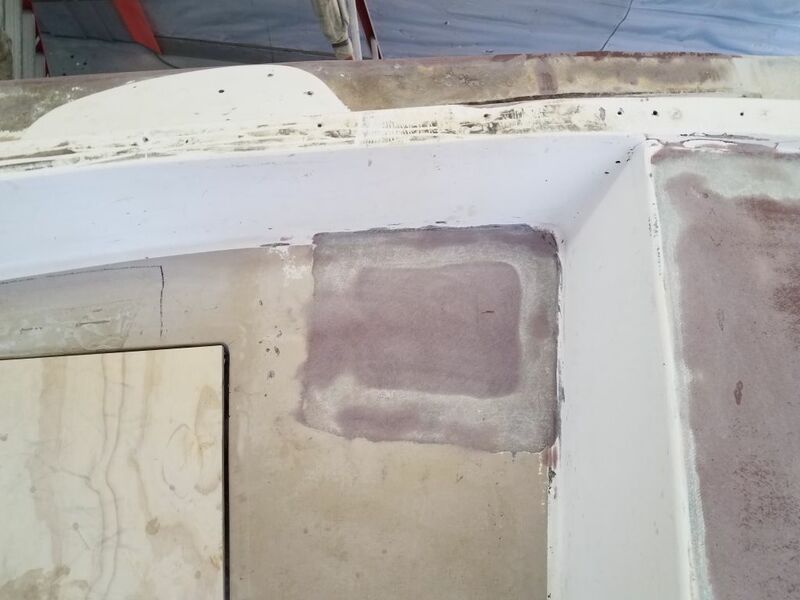 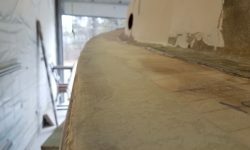 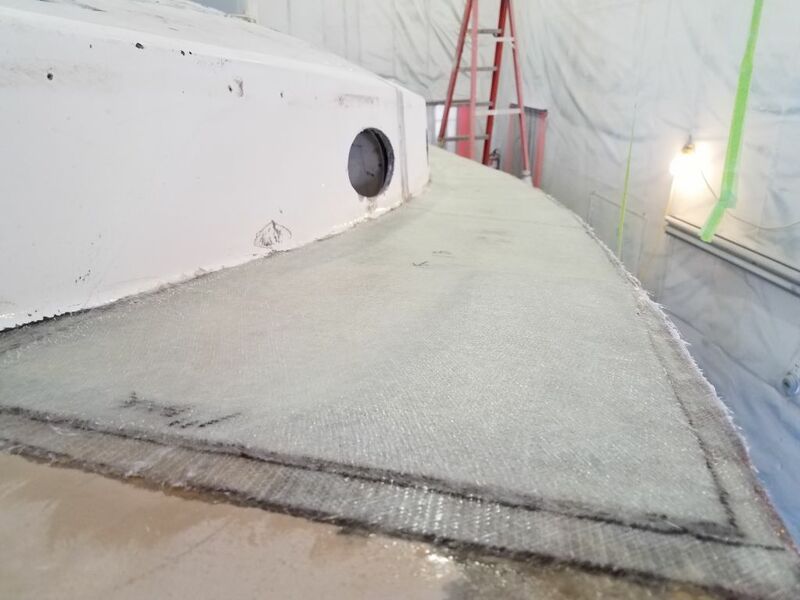 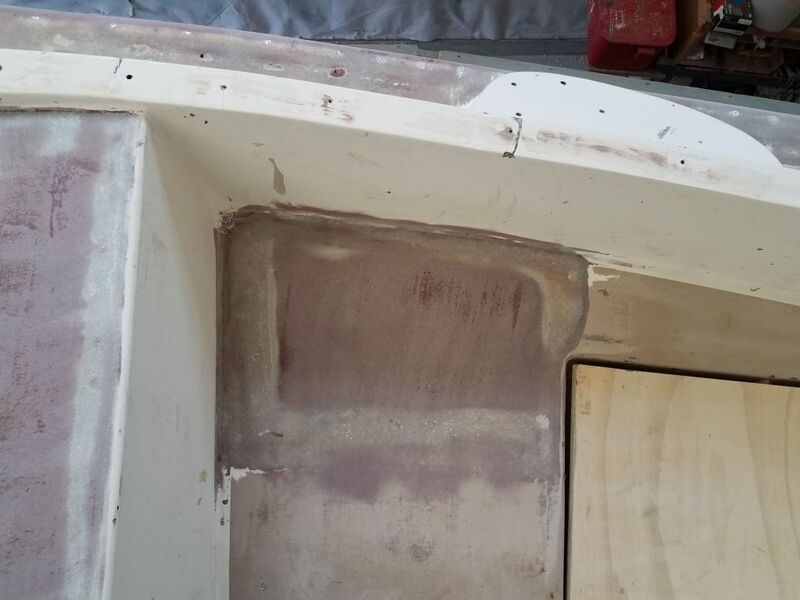 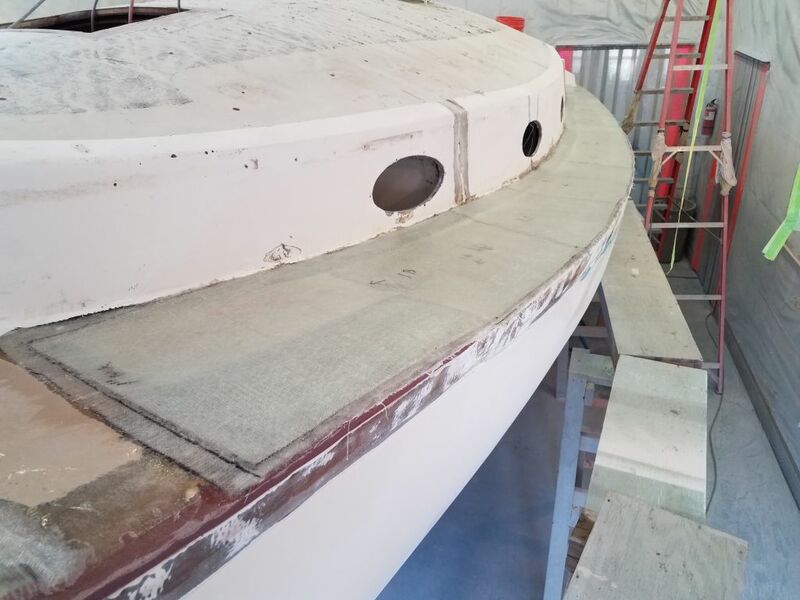 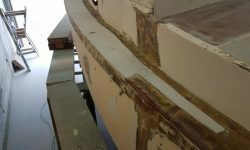 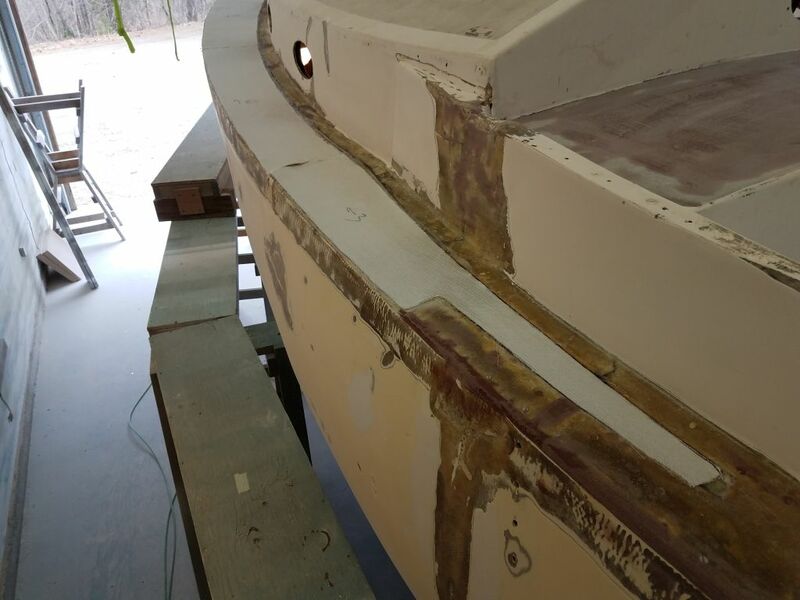 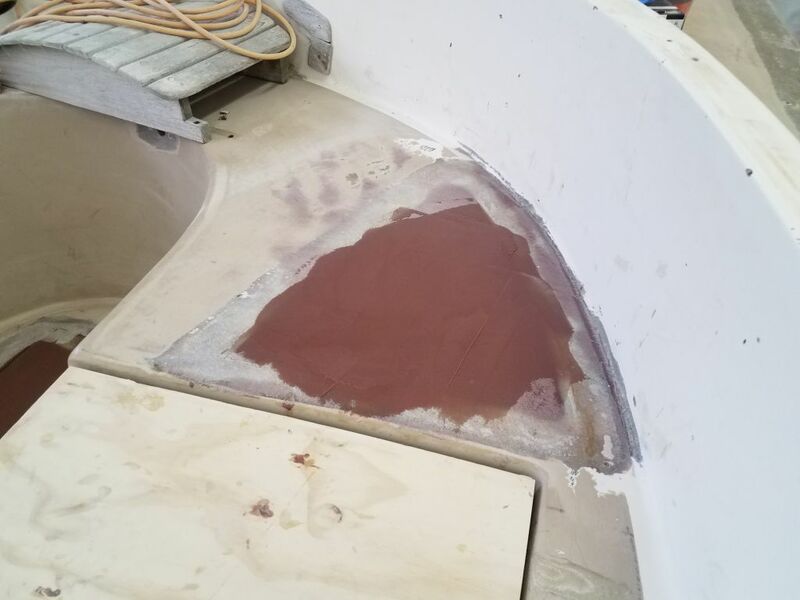 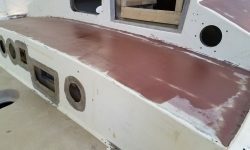 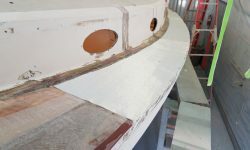 After a break while I helped and observed the departure of one of my completed projects, I spent the first half of the afternoon installing the three layers of fiberglass on the port sidedeck. 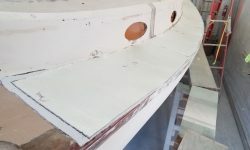 Afterwards, I applied another round of fairing filler to the other repairs as needed, mainly for the new work on the coachroof and bridgedeck, but also some minor spot-filling in the cockpit and a few areas of the hull-deck joint.